the statues of Mihail Cantacuzino and King Carol the First. We move on to the spectacular Intercontinental Bucharest Building, which has a very interesting and politically diverse history! We then pass Kretzulescu Church, a fine example of Brâncovenesc style architecture, built in 1722, surviving Turkish occupation, two world wars, being marked for demolition by Ceausescu and the 1977 Earthquake! This building now stands proud in the heart of Bucharest as a symbol of the dedication and resilience of the Orthadox Christian Community of Romania. Next we have Revolution Square. Here we learn about the 1989 Revolution, see where it all happened, where Nicolae Ceausescu's Communist Romania fell when he and his wife fled by helicopter on December 22, 1989. Possibly Bucharest's most popular building, this exquisite concert hall was built in 1888 in the Neo-classical French style of the era. Surrounded by beautiful gardens and statues, this building is seen yearly, as the location of the live transmission for the 'results of the Romanian Jury' during the Eurovision Song Contest! Our Mini Tour costs €12 per person. 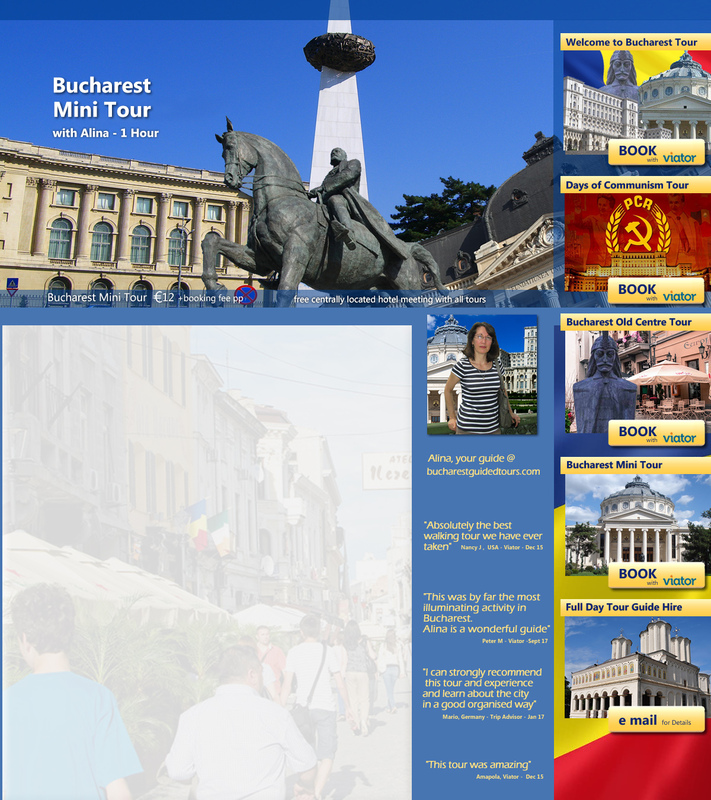 This covers the complete 60 min tour of Bucharest's most beautiful and interesting locations. Booking can be made safely and securely via our friends at Trip Advisor. I look forward to meeting you and showing you the delights of beautiful and historic Bucharest. Alina - Registered Tour guide.